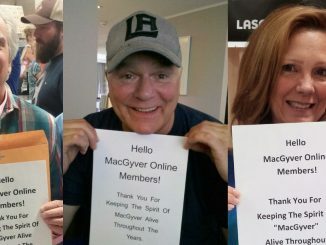 In Vancouver, British Columbia, the MacGyver crew is filming. Turn any street corner and you might find yourself “on location”…. Big Mama sits on her massive trike, waiting to drive five metres into the vintage car repair shop. She’s this week’s villain, played by Wendy O. Williams, who’s usually a rock musician, and comes complete with her own tattoos. The stunt co-ordinator has shown her the controls, the engine’s running, and she’s ready to rehearse. He lets her go and she goes, four metres, six – which was the brake again? A light stand crashes, a cabinet topples, people run in every direction as the trike jolts to a halt. To everyone’s relief, Williams is unhurt. The crew swiftly moves on to the next scene and a decision is made later to drop the trike shot. The incident, however, becomes anecdote, expanding in the retelling. 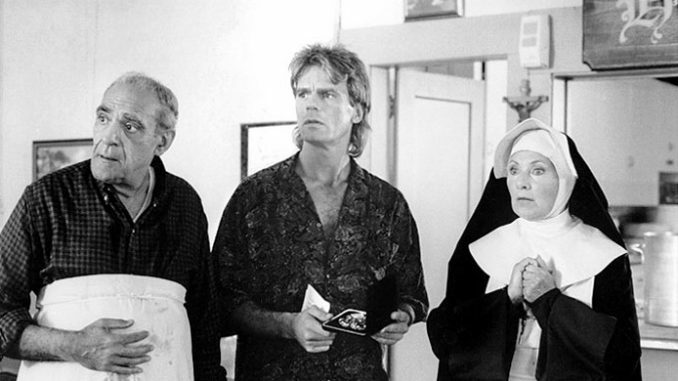 This episode of MacGyver has got to be good. It’ll screen in the US during a ratings sweep, when advertising prices are set for the season: more viewers, more money. At over $US1 million per episode, these things matter, so, in an effort to maximise audience numbers, this week’s cast is an all-star line-up. The crew are blasé, impressed only by actors who remember their lines, stand where they’re told and keep out of the way when not needed. It’s a mere eight-day shoot, after all. “Have you met Rick?” The make-up artist has befriended me and is making sure I’m introduced to enough people to feel welcome. 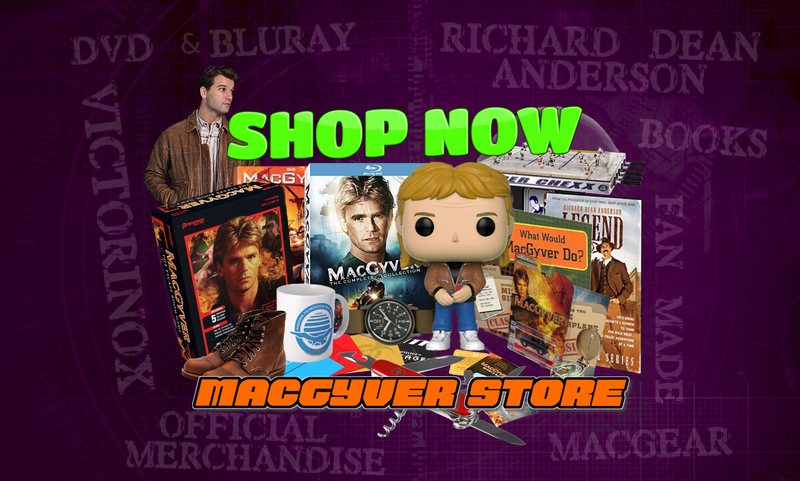 “Sorry, who?” I turn, find myself shaking hands with Richard Dean Anderson (MacGyver himself), but in mid-pleasantries he’s called away. “Make yourself at home,” he smiles. MacGyver is about to break into the repair shop with ex-jailbird Cody, played by Abe Vigoda (Fish from Barney Miller). For their first scene together the two actors shake hands, then move into position as director William Gereghty talks them through the shot. Vigoda fumbles for his line: “Er… Maybe… you could show me how to do that?” Anderson frowns at his Swiss army knife: “I wish someone would show me how to pick a padlock with one of these!” The props guy quickly obliges and rehearsal is over. Two stand-ins take the actors’ positions and, motionless for the next twenty minutes, provide a focus for the crew’s preparations. Anderson glances over a pocket-sized script and resumes work on the crossword. Vigoda rejoins a companion near the caterer’s table, source of sandwiches, coffee and carrot sticks. Williams watches the crew work. She’s quitting the rock business, she tells me – wants to write cookbooks instead. A camera assistant measures the distance to the stand-in’s nose, then adjusts focus on the camera. Lights are aimed, sound gear tested, trees placed in the background. The hairstylist is working on a bald patch for Vigoda’s stunt double. One of the crew, job done for the moment, shows off his skill with a short lasso. The director pores over his script, already behind schedule, looking for shots he can do without. Anderson is holding Make-up in a firm hug, as she struggles to touch up his face and hands. “First team!” the first assistant director calls, and the stand-ins step aside. The hairstylist offers a mirror. Anderson ruffles his hair quickly, tosses his cardigan to Wardrobe, then takes his position with Vigoda. The crew falls silent, focused for these brief minutes. An on-camera rehearsal, two takes, and it’s on to the next scene. I ask Anderson about time pressures: does he sometimes wish for more chance to rehearse? For him, it’s enough: he knows Mac’s character and the rhythms of the show, and final script drafts come to him for fine-tuning. He’ll work with other actors between scenes if they want, but says essentially TV’s a technical medium. It’s the crew who need time to prepare. Lunch isn’t ’til after two. Today: seafood linguine or pork ribs, then pecan pie and fresh fruit salad. The catering list is for eighty five. They’re a good bunch, this crew. A single half hour break, twelve hour days plus overtime, and no complaints. With many employed on a day to day basis, and plenty of others hankering for their jobs, it pays to have a good attitude. The intersection is now bordered by giant mattresses. Two cops are on hand to stop traffic and, in every direction, location assistants stand by to keep passers-by well out of harm’s way. Big Mama’s trike drives slowly out of the alley and a stunt double practices flinging himself out of its path. Anderson watches intently, looking for the movement he’ll have to match for the closer shots. “I couldn’t do that?” he grumbles enviously. “Just don’t do it like a stuntman, will ya?” The pair laugh as Anderson shows how foolish he’ll look in the next shot, matching his double’s flailing arms. When the moment comes and both cameras are rolling, the trike bolts out of the alley at breathtaking speed. The stuntman does the dive of his life and on “Cut!” the crew murmurs as one: “That was close.” The stunt team looks unfazed. Anderson rehearses his reaction. It’s a mid-shot, from the waist up, and he’s crowded by lights, camera and crew. “Clear Rick’s eye-line!” bellows the first assistant director, and crew members scramble to create an empty corridor in the direction of the speeding trike. There’s nothing there, but Anderson sees it coming anyway and, with a look of shock, hurls himself onto a mattress half a metre thick. He practices this one a few times for fun, landing spread-eagled on his back. “Howzatt!” he cries after take one, and happily does several more. A drizzle sets in and the camera is fitted with custom-built rainwear. Anderson’s not in the next shot, so hops on his bike and, umbrella up, pedals round the block to a hired parking lot jammed with trucks and trailers, variously housing make-up, the props department, toilets, a kitchen and masses of equipment. Anderson’s is the trailer with venetian blinds and a satellite dish. 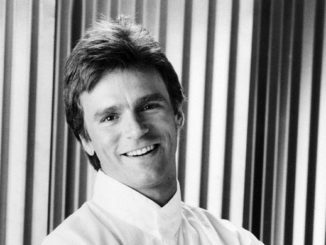 For those who want to know, he does seem a lot like his MacGyver persona. Perhaps his sense of humour is a little more sardonic, and he lays no claim to Mac’s technical skills, but he’s boyish and charming and approves of the environmental and youth issues the scripts are now tackling. Trailer aside, there are no signs of star treatment. He goofs around with the crew, reads the sports pages, teases Williams’s stand-in, but like everyone else is ready for work, there with a performance when the camera rolls. As twilight falls, a smell of popcorn wafts around the set: catering is full of surprises. The crew is abuzz: Henry Winkler, The Fonz in Happy Days, has flown in from Hollywood for a cameo role. 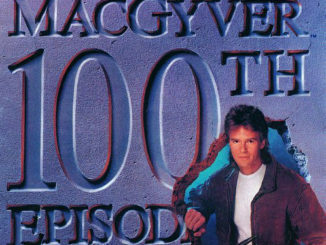 He’s “the big boss”, MacGyver’s executive producer, and everyone wants to impress. It’s a long time, though, since his acting days and, as it turns out, he’s more nervous than they are. Mud grinds into carpet, despite efforts to keep cardboard taped over the floor. Battling darkness and downpour, electricians flood morning sun through a window. Take five was no good and the overtime budget preys on the first AD’s mind: “Lets not spend all night, people!” Anderson sees me watching, sighs: “Fascinating, isn’t it?” and steps into shot for the day’s final take. The crew pack, with typical efficiency. Fifteen minutes later, they’re gone. Not a truck, prop or coffee cup remains. It’s television, after all: tension, drama, the odd moment of comic relief. But when all’s said and done, it leaves no trace. Jenny Wake, The New Zealand Listener, December, 1990.